Dwarfism is a condition that can be difficult to handle; at the same time, this genetic/medical condition has brought so much success to many people who have it. Apart from popular actors and media personalities Peter Dinklage and Warwick Davis, Matt Roloff is yet another dwarf who rose to prominence because of his stature. Like Davis and Dinklage, Matt is an all-rounder: he is a motivational speaker, farmer, actor, business entrepreneur, and author. However, his rise to stardom is linked to the reality television series, Little People, Big World, wherein he featured along with his ex-wife and children. You’ll get to know more about Roloff in this article. The multi-hyphenate star was born in San Francisco, California, on 7th October 1961 and named Matthew James Roloff. The son of American parents, Matt, as he is popularly known, was born with degenerative dwarfism called diastrophic dysplasia which led to him undergoing about fifteen operations as a child. The reality television star is an American of Native-American ancestry. There are no records of his attendance in any high school or college available. Matt Roloff is one of Peggy Roloff and Ron Roloff’s children. The two are also parents to Ruth, Sam, and Joshua Roloff. Ron and Peggy also featured on Little People, Big World and are of average height like their daughter Ruth. However, their son, Sam uses crutches to walk because he is suffering from diastrophic dysplasia. He is the founder of Back-Story Underpainting and an artist as well. Matt Roloff’s parents lost one of their sons, Joshua, in 1999. He was born with a severe heart malformation and died at the age of 34. 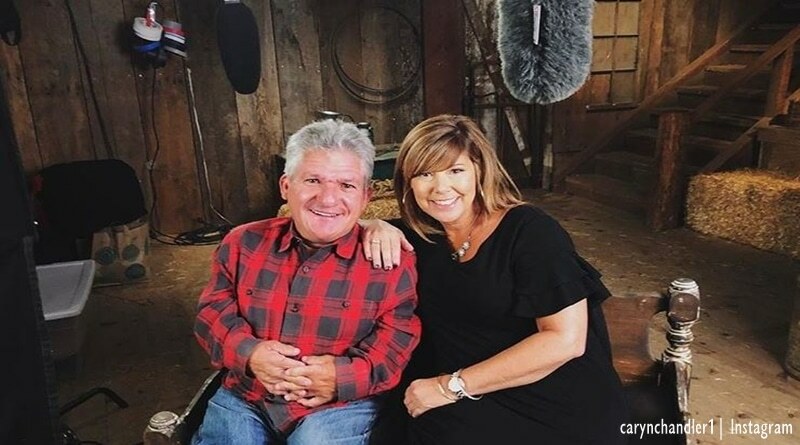 From his farm business, authorship career, reality television stint, motivational speaking career, and other endeavors, Matt Roloff has amassed huge wealth. His current net worth is estimated to be $4.5 million. With all his endeavors, it’s not surprsing that Matt has amassed his impressive net worth. Until May 2016 when his divorce from his wife was formally finalized, Matt was married to a little woman called Amy Roloff. Just like Matt, Amy has dwarfism as she was born with a form of short-limbed dwarfism called achondroplasia. The pair met for the first time in the year 1987 at a Little People of America convention. They got engaged shortly after and eventually tied the knot on the 12th of September in the same year. While their marriage lasted, the couple had four kids together – Jacob Roloff (born 1997), Molly Roloff (born 1993), and fraternal twins Zachary and Jeremy Roloff (born 1990). While Jeremy, Molly, and Jacob are of average height, Zachary was born with achondroplasia, like his mother. Matt and Amy announced in March 2014 that they have gone their separate ways and later announced on 5th June 2015 that they would be divorcing after 27 years of living together as husband and wife. Their divorce was subsequently finalized in the month of May 2016. Is He Dating, Who’s His Girlfriend? Immediately after Matt and Amy announced their divorce, many of their fans started wondering if they will go on to date other people or not. Well, it became clear that the former exes can still be loved by other people in 2017 when the curious public learned that Matt and Caryn Chandler, one of his long-term employees, are in a serious relationship. Prior to Matt and Amy’s divorce, Caryn was very close to the couple but nobody knows if she started dating Matt right before the latter’s relationship with his wife fell apart. Chandler, who works as Matt’s farm manager, has spent more than ten years on Roloff Farm and Matt credits her for the success of the business. Although it has not been confirmed outright, rumor has it that Matt and his girlfriend cheated on their spouses before their relationship became a matter of public knowledge. Prior to getting hooked up with the Little People, Big World Star, Chandler was married to Joseph Chandler for almost 20 years. They also had two kids – Brittany Chandler and Connor Chandler, who were not allowed to appear on the reality television. While some fans see Caryn as a nothing but a gold digger, the 4 feet Matt has no problem with her dating him. Interestingly, Chandler shares a cordial relationship with Matt’s children but her relationship with her boyfriend’s ex-wife is a bit tense. Though no official announcement has been made yet, it appears the pair’s controversial relationship could be heading towards marriage in the near future.